In this section, operating experience and experimental results are presented related to building and running cable robots. Firstly, the basic procedure for calibration of cable robots is outlined. Then, the IPAnema robot family is introduced where the different demonstrator systems exemplify possible design decisions. 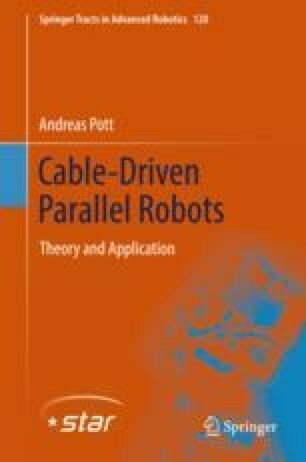 Finally, some other cable robots are presented which are designed and built using the methodology described in this book.